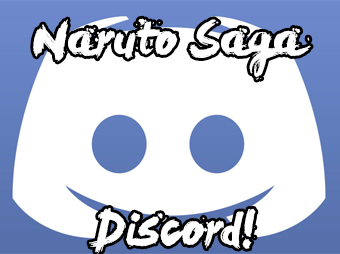 Naruto RP Saga » Ninja Scroll » Clans » A Work in Progress. It's whispered amongst the people of the Cloud, even if only as bedtime stories to children, that the Abandoned Mine is haunted - plagued with spirits of those lost in the collapses of the past. It is indeed inhabited, but far be 'spirits' from the truth. It would happen that the eerie chills down one's spine, the weight on one's back - they are not imaginings, nor are they the work of malevolent ethereal beings. These are simply the doings of those who want to test the people with the audacity to enter. Those who might influence the world must first be able to control themselves. And what larger obstacle than this? Fear. What always starts it is fear. Fear of the void. Fear of loss. Fear of cessation. That fear becomes as nothing when desire ceases as well. A select few have guarded these teachings as well as the method in which one can express it with the mystery of chakra. Those that lead this group are collectively known as the Rōshi (労師). Nishihara Nissho, the founder of the Nadekinai cloister, became the first Rōshi. The second Rōshi, née Kikyo Kumiko, codified the oral traditions of the Unnameable. While her own tenure heralded nothing of novelty, she brought stability to the order and unified those who would study its teachings. The third Rōshi, née Murayama Matsu, sought insight into the duality of attachment and detachment. What bound one to this world? What gave one the ability to not-be if one wished, and why was doing no harm the answer? His period gave birth to experimentation for the sake of knowing. The fourth Rōshi, née Amarante Agano, expounded upon these teachings. However, what once was for knowledge only turned to desire, itself - the greed and ire that wished to weaponize their monastic teachings divided them. Yet, a problem often solves itself, and the old ways were restored soon enough - the newer faction had, quite literally, faded from existence in their attempts to use self-preserving abilities in an offensive manner. The fifth Rōshi, née Takakuwa Toyozo, only held his tenure for a very short time. He was assassinated about 50 years prior to present date. Heretofore, the Unnameable monastics have been content to hide themselves away in the crevasses and unvisited places of the Lightning Country, hiding and yet honing their secrets. It is rare, or to be pithy unheard of, that a neophyte to the ways of the order would boldly leave the confines of their teachings. Many live out the remainder of their days attempting to unlock the secrets within the caverns. The order has been without any leadership for a good time since Rōshi Toyozo was killed by an agent of a group currently unknown. Ikehata Iemitsu has tentatively taken the position, though he asserts he functions only as a custodian of the scrolls, the most traditional of the Rōshis' duties. Hiden Description: Nullity Fantasia is a practiced art amongst the few hermetic monks that yet reside in the Valley of Mountains. It affords them the following abilities for their own use and as a basis for other techniques. Their affinity for study lets them rank their fourth specialization up to A-rank for 6000 words. Passive and Active. Being Passive in the context of Chōmumui requires refraining from the use of techniques that negatively affect others against their will, or hampering others via methods such as Grappling or items. If one uses such a technique, attack, or item, they become Active for 1 post before they take that action and for 2 posts after (or until the cooldown of the jutsu they used elapses, whichever is longer). While Passive, techniques can be performed without the use of hand seals. Life is Illusion. The primary ability this discipline provides is that to make one's physiology as if a projection, something of a cross between an Academy clone and a Shadow clone - becoming solid to interact with the surroundings but not possessing mass when it would mean sustaining injury. They are immune to damage, stunning and other negative effects. This is lost while Active. In addition, one loses the need to breathe, as well as other bodily needs; for example, having certain chakra levels does not cause one to pass out or die. This persists even while Active. I Dreamt I Was... A key benefit to being only as one mentally projects oneself to be is that form is malleable. An Unnameable has the ability to use the Transformation Technique at-will, without expending chakra or the technique going on cooldown. Because their existence fluctuates, their form is malleable; they seem to truly become what they turn into, such as changing or losing their scent depending on what they turn into and even losing apparent biological functions if becoming an inanimate object. When they use the Henge no Jutsu, the technique's minimum size becomes 1" in any dimension. When cast without chakra, it cannot be used to reliably mimic another specific entity, and attempting to do so results in differences obvious to those familiar with the original. The World Belongs to Those Who Let Go. A Passive Nadekinai can seemingly vanish from existence, reappearing at a nearby location they can detect or think of, such as 'outside this cage's door' or '50 meters to the northeast'. They reappear after a short time, as if they had used a 'burst of speed' with their own Speed stat to travel there. Moving this way does not require any exertion, but one does not gain any information by traveling to their destination - they experience no sensory input from the outside world until they appear. As long as an opening in an obstacle exists that they could travel through while Transformed (as above), they can use this special movement to travel straight through it as if it didn't exist.